Suzanne began her career in early 2018 following her completion of the Elon University School of Law’s accelerated 2.5-year degree program. Suzanne graduated in the top 20 percent of her class and is currently completing an MBA as part of the Elon joint JD/MBA curriculum. As a member of the Moot Court board, she placed 3rd in the Elon Law Intramural Moot Court Competition and participated at a National Moot Court competition. 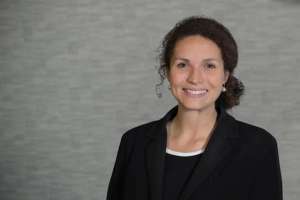 At Stuart Law Firm she will combine her business acumen with her litigation talents to serve firm clients in transactional and business disputes. She is focusing on complex business transactions including intellectual property, insurance coverage, information technology and choice of law. Suzanne attended Maryvale Preparatory School in Lutherville, Maryland before attending Washington College where she studied Business Management and was a two-sport athlete, playing both varsity softball and soccer. She was a 2-time All-Centennial Conference softball player and was the team captain of her soccer team during her junior and senior years. At Elon, Suzanne was a member of the Women’s Law Society, the Business Law Society, a Business Fellow and served as a staff member of Elon’s Business Law Journal. She also served as a student mentor and was elected by her classmates as their Student Bar Association Class Representative. Suzanne enjoys the complexity of the law and the unique issues presented by each client matter. She is committed to the practice of law and is dedicated to service beyond self and to the needs of her clients. Suzanne is passionate about the law and brings her exceptional work ethic to all aspects of the practice of law. Suzanne enjoys running, spending time with family and playing with Rocky, her Boston Terrier.